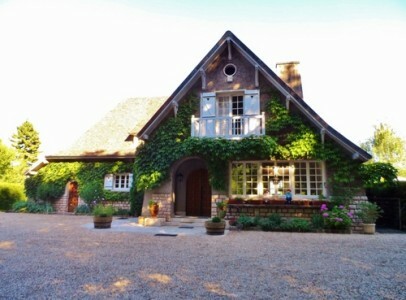 Beautiful and secluded manor house, built by a famous wine family from Beaune as their summer retreat. 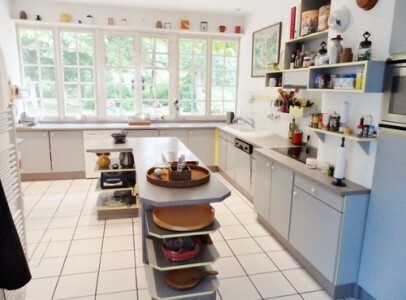 The house has been built in de 1950’s by an architect and with the best materials. Nice details in the woodwork, fire places, bay windows and lovely overall atmosphere. 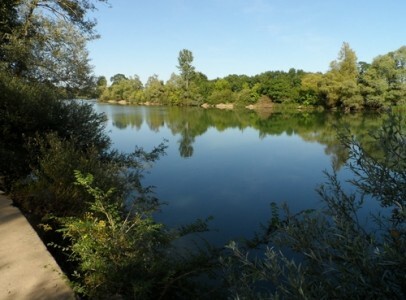 Stunning location with views on the river Saone, the surrounding countryside and even the Mont Blanc. 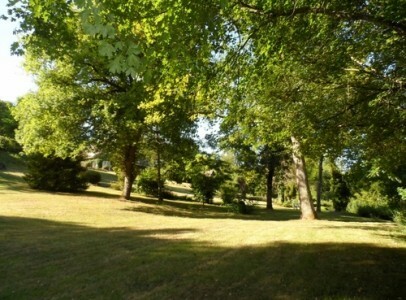 Privacy and peace guaranteed due to the large partly wooded plot. This beautiful house really is a rare find. There are not to many 1950’s houses in the area and certainly not on such a location. 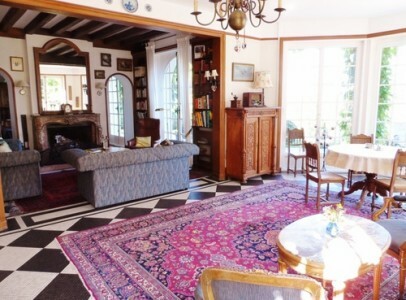 The house is located on a large plot of over 3 hectares that is accessed by automatic doors and a gravelled driveway. 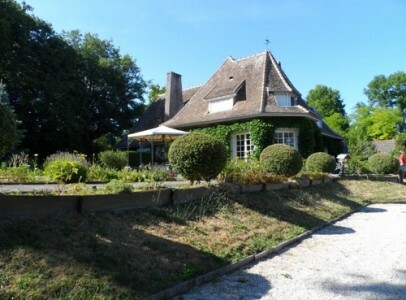 This plot has a lot to offer: a lovely main house, a separate guest house, large garage with sheds for garden equipment, a very large hall for entertaining separate from the house, landscaped garden, lovely views, a swimming pool, tennis court, chalet….too much to mention. Entrance through main door and large entrance hall with pantry, wardrobe and large WC for guests, to the right the large fully equipped kitchen with bay-windows, the living room with stone floors, fire place, woodwork and again bay-windows, a dining room and a study. 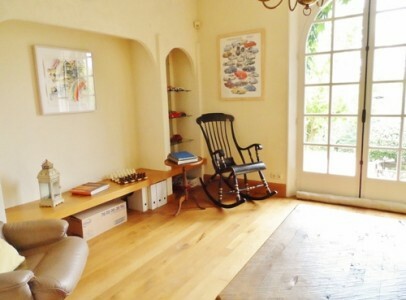 All rooms except the kitchen have access to the terrace at the back of the house and the lovely view on the river. Stairs to the first floor: large landing/hallway with access to four rooms. 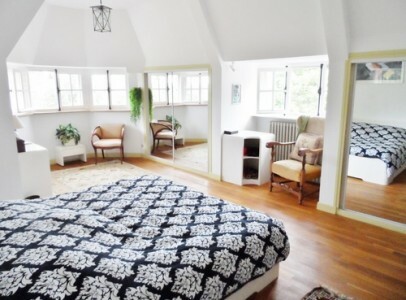 Master bedroom with bathroom en suite, parquet floors and lovely views, large bedroom at the front of the house now used ad study, smaller bedroom with parquet floors and again lovely views and finally another large bedroom with the same views at the back, carpet and bathroom ensuite. WC in the hallway. The guest house was built separate from the house and has two bedrooms with bathroom ensuite of about 16m2 and a studio with kitchenette, bathroom and fireplace of about 30m2. This hall located across the garden, next to the tennis court and pool, is perfect for parties. It basically is an old local barn that has been taken down en reconstructed on the spot. 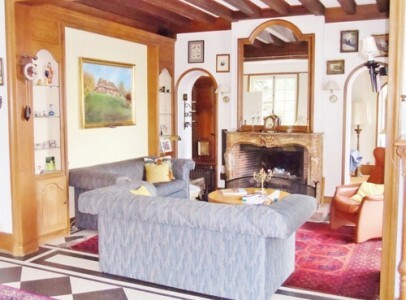 It has lovely old, oak beams and impressive fireplace. 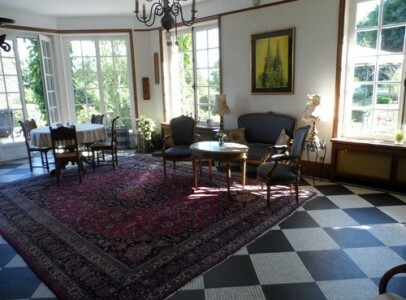 It is a very nice space, perfect for parties and large family dinners. Swimming pool: large swimming pool. Garage with place for 5 cars, two tool sheds and a workshop. 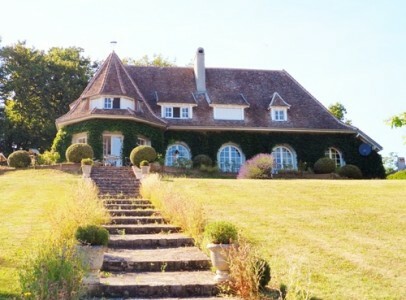 The large plot is divided in a few specific areas: a gravelled courtyard in front of the house with access to the house, a landscaped with terraces garden wrapping around the house and reaching up to the banks of the river, a vegetable plot and private woodland with hunting chalet. This property really has a lot to offer. 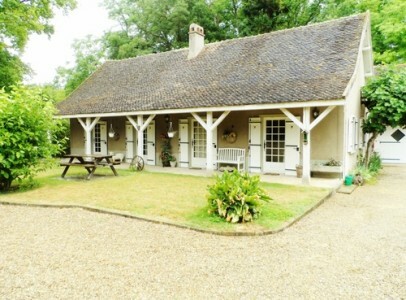 It could be a fantastic family house, a luxury holiday retreat or even a B&B business due to the separate guest house. 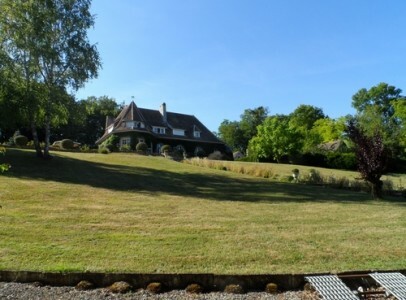 It’s commanding location on a hill overlooking the river Saone is really stunning. The river flows at the bottom of the river but the house never risks being flooded because it’s located high above the river. It’s location is private but not far from amenities. 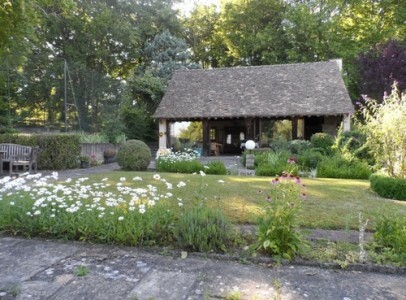 The nearest village with shops is only 5 minutes by car and Beaune is only 20 minutes away.